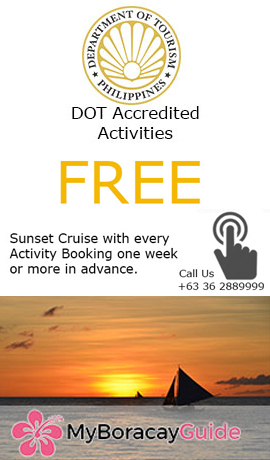 Land tours usually take place on Boracay and are easy to fit into a more hectic schedule. There are many different land tours that you may enjoy on any given day. Horseback riding down a tropical beach may be something on your bucket list, while zipping around a go-cart track trying to dominate your friends might not be on that same list. Having said that, some days are just go-cart days and nothing more is needed to make it worthwhile and highly enjoyable. 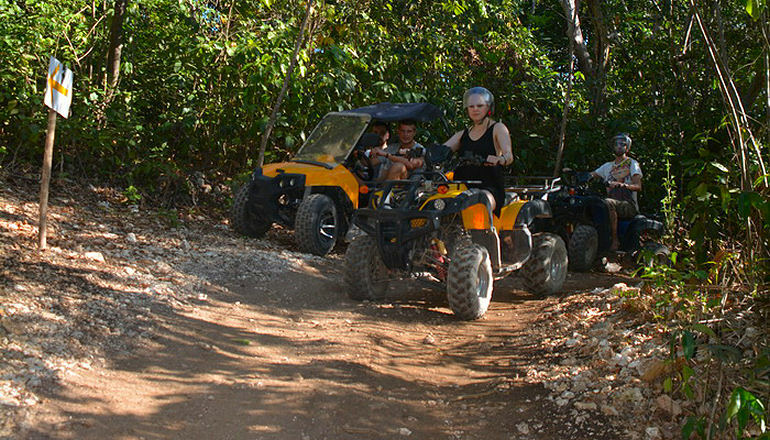 Recently, the most popular & often booked land activity has been the ATV off road. 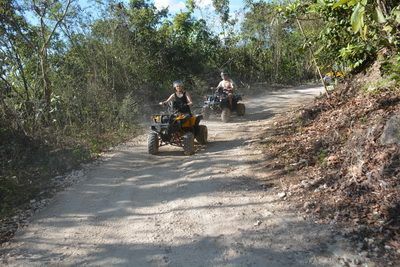 You get to drive your ATV through mountain off road trails and sit square in the driver’s seat. It’s great for any sized group, but particularly good if you’re in a small group since this activity is more about the physical driving with less opportunity for socializing. 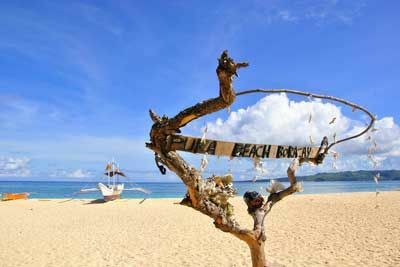 If you plan on being on Boracay for a while, the 2-hour land tour is highly recommended as it will help you get your bearings on the island and introduce you to a few places and activities along the way that you could try/see/do throughout the remainder of your stay. 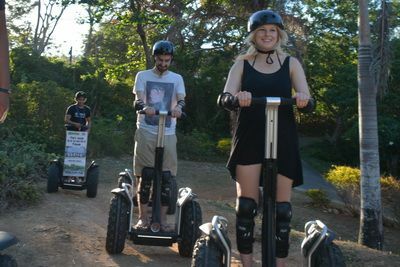 The Segway tours are novel and eco-friendly, great if you’d like to finally try one of the machines out. The E-bikes are perfect if you want to get out and exercise but go at your own pace. Both electric and pedal driven, you’re fully in control. Land Tour Questions we can help with?